PHOENIX & SAN JOSE, Calif.--(BUSINESS WIRE)--Avnet (NYSE: AVT), a leading global technology distributor, and UbiquiOS™ Technology Limited, a leading provider of hardware-agnostic, wireless connectivity software, today announced a new distribution agreement that expands Avnet’s franchise rights with UbiquiOS to include the Americas. Effective immediately, Avnet will offer UbiquiOS’s integrated stack to customers in the Americas as well as Europe, accelerating the development of IoT-enabled devices and systems. For more information on UbiquiOS solutions available through Avnet, please click here. UbiquiOS™ Technology Limited markets a compact, integrated, interoperable, secure and easy-to-use embedded wireless stack that shortens time-to-market for applications implementing low-cost and low-power wireless connectivity. 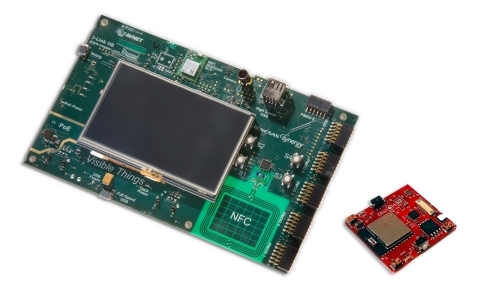 The UbiquiOS stack supports a wide range of microcontrollers, radio technologies, real-time operating systems (RTOS), including bare metal environments, and cloud solutions. UbiquiOS is based in Silicon Valley and New Zealand. For more information, please visit www.ubiquiostechnology.com. New distribution agreement expands Avnet’s franchise rights with UbiquiOS to include the Americas. Deal will broaden customer access to secure, wireless connectivity stack for IoT-enabled systems.